Hat’s off to a fine brisket! Sometimes it’s jus’ plain right! JOHN MUELLER RISES FROM THE ASHES…AGAIN!!! HE’S SMOKIN’ IT LIKE NEVER BEFORE AN’ BETTAH THAN EVAH! The Porkchop happened into Austin this past Tuesday and jumped into the line at Franklin Barbecue only to find out that it was still an hour wait and no meat guaranteed if he made it to the meat counter! While standing in line on the horns of the “do I stay or do I go?” dilemma, mention was made of John Mueller’s new place. That sealed the deal. 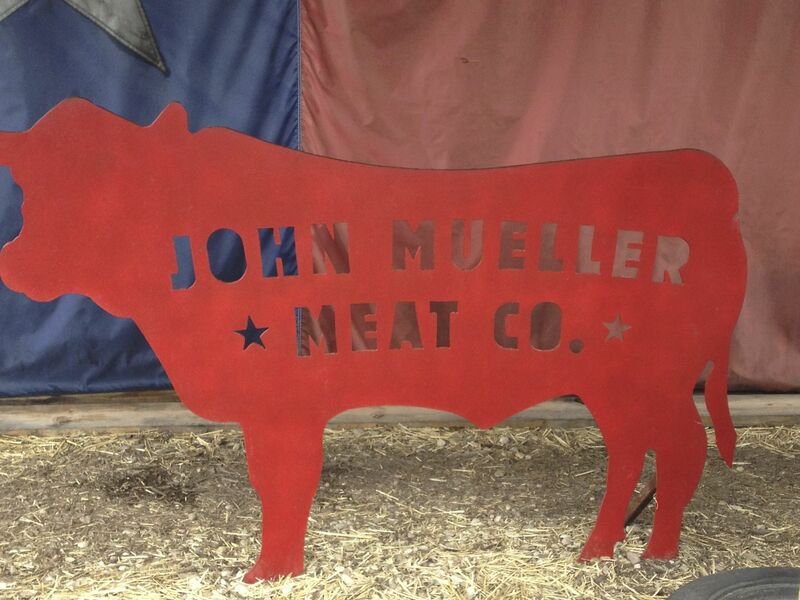 Porkchop bailed from the line, googled Mueller and soon found his way to the John Mueller Meat Company at 2500 East 6th Street. Best decision of the week! 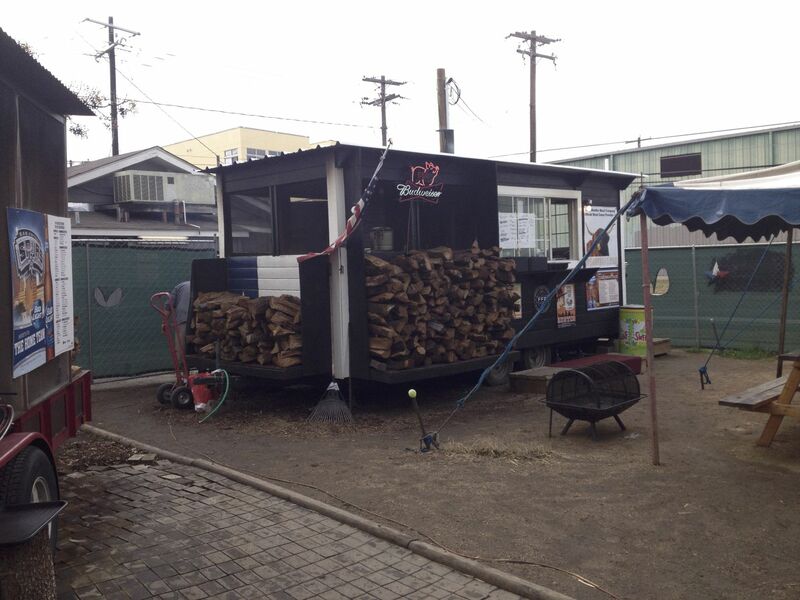 Like Mueller’s last, ill fated establishment on South Congress, The John Mueller Meat Company revels in its simplicity: A big trailer pit, a second trailer where friendly staff slide the meat onto butcher paper and collect the money, picnic tables, tents, and portapotties. That’s it. 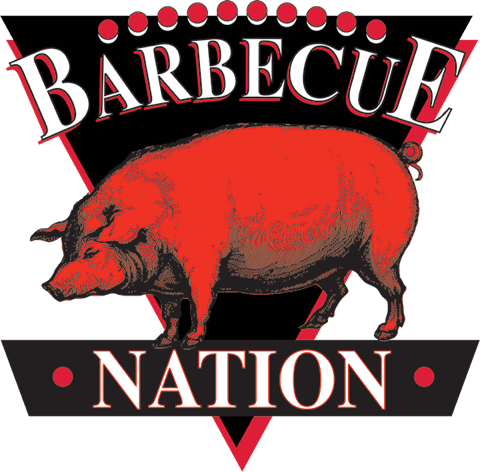 This place is – by The Porkchop’s reckoning – Mueller’s third barbecue business adventure in Austin in the past ten years. There are those who say he is plagued by demons. None of that matters. The meat is everything. And it’s everything it should be. The Porkchop sampled the brisket and the pork shoulder and found each to be some of the best ever tasted. This past Tuesday, Mueller’s barbecue was about as good as barbecue can be. At Mueller’s last place the brisket was characterized by just plain too much heat. Pepper to the point of distraction obscured the artistry of the Pitmaster’s process. Not so now. The pepper was seemingly exorcised along with the demons. What came off the pit the other day was near perfect brisket, the rub perfectly in balance with the meat and the smoke. The same held true of the pork shoulder. Moist tender shoulder meat, balanced seasonings and deep, velvety smoke. So, The Porkchop say: GET TO THIS PLACE AND EAT SOME! Before the demons come back and it’s gone.